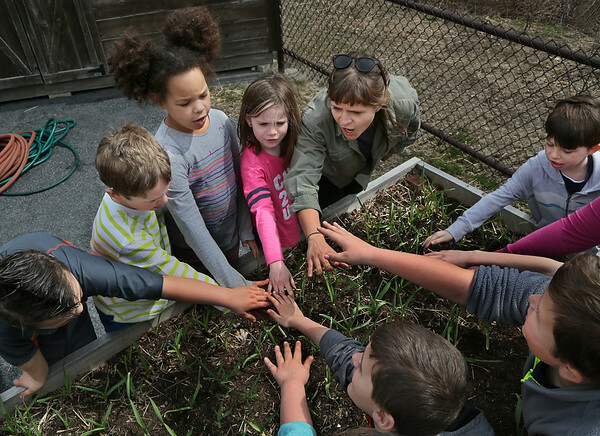 Gabi Goszcziynska, youth education coordinator with Backyard Growers, shows first graders from Jodie Parisi's class how a crop of garlic was coming along Thursday at West Parish Elementary School in Gloucester. The students also planted lettuce during the visit. The vegetables will be harvested by the students in June and served in the school cafeteria.